Help us stop the provincial government’s attack on the environment. On December 6, 2018, the government introduced Bill 66, Restoring Ontario’s Competitiveness Act, to facilitate development across Ontario. If passed, this legislation would allow municipalities to circumvent planning requirements and land use restrictions under numerous provincial laws, plans and policies. It would roll back environmental progress that has been decades in the making. Please join us in urging the government not to privilege big business over the people of Ontario. For nearly two decades the Junction Creek Stewardship Committee has been making Sudbury’s Junction Creek a cleaner and healthier waterway for local species and citizens. This past fall, the group joined Plastic-Free Greater Sudbury and other concerned nature-lovers to remove and inventory 400 kg of waste from the creek and surrounding area. The inventory of waste items will be used to determine possible sources of debris and to raise public awareness about the importance of clean water for wildlife, habitats and people. To learn more about the restoration of Junction Creek or to join a local cleanup, email restoration@junctioncreek.com or call 705-525-8736. There is still time to submit your nominations for the 2018 Ontario Nature Conservation Awards. These annual awards recognize the excellence of individuals, groups, government agencies and corporations who have worked to protect nature in Ontario. All award recipients will be honoured at our Annual General Meeting on June 1, 2019 at Mohawk College in Hamilton. The deadline for nominations is March 25, 2019. Visit the Ontario Nature website for more information about the award categories and submission guidelines. Ontario Nature and the David Suzuki Foundation are urging the Government of Ontario to withdraw its ill-advised proposal to establish a hunting season for double-crested cormorants. In a letter to the Ministry of Natural Resources and Forestry, we stressed that this so-called “population management tool” is lacking in any scientific justification or evidence. Additionally, the provision allowing an individual to kill 50 birds a day for nine-and-a-half months could cause significant harm to cormorants and other native wildlife. Visit our blog to read about some common cormorant myths. September 20-22, 2019 marks our tenth annual Youth Summit for Biodiversity & Environmental Leadership and we’d like you to consider sponsoring a young person to attend. As in past years, the Ontario Nature Youth Council will host this unique event that brings together 100 high school-aged youth from across Ontario. Your support will help us connect like-minded young people with one another and create lasting positive impact in their lives. Contact Christine Ambre to learn more about how you can become a sponsor this year. 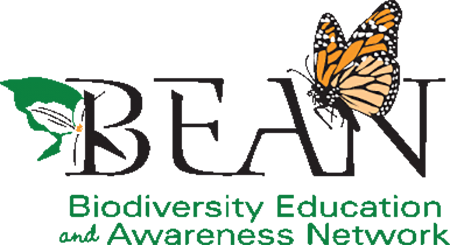 The Biodiversity Education and Awareness Network (BEAN) is pleased to announce that they are once again accepting funding applications of up to $500 for International Day for Biodiversity events across the province. In the past, BEAN has supported activities such as invasive plant pulls, native plantings, BioBlitz events and nature hikes, as well as conferences and educational workshops. Applications for the 2019 International Day for Biodiversity Grant Program will be accepted between January 10, 2019 – March 22, 2019. Ontario Turtles: Past, Present and Future with Peter Mills, Friday January 18 @7:30pm at North West Barrie United Church (464 Ferndale Drive North) in Barrie; for more information contact Alex Mills at 705-739-1094. Minesing Raptors Outing, Saturday February 2 @ 8:30am; meet at the Little Lake Parking Lot; for more information contact Brian Gibbon at 705-721-4599. Information in Mud with Jamie Summers, Friday February 15 @ 7:30pm at North West Barrie United Church (464 Ferndale Drive North) in Barrie; for more information contact Alex Mills at 705-739-1094. 2019 Annual General Meeting, Saturday January 19 @ 4:00pm at Historic Fort Willow; admission is free; visit eventbrite to register. Wingtips at our Fingertips: Understanding the Complex Lives of Migratory Birds with Stuart Mackenzie (Bird Studies Canada), Monday January 21 @ 7:00pm at the Burlington Seniors Centre (2285 New Street) in Burlington; for more information contact Bruce at kintail52@gmail.com. Trees of McMaster Forest Outing, Saturday January 19 @ 1:00pm; for more information contact Bruce at kintail52@gmail.com. Future Wetland Development in Stoney Creek with Scott Peck (Hamilton Conservation Authority), Monday February 11 @ 7:00pm at Royal Botanical Gardens Headquarters (680 Plains Road West) in Burlington; for more information visit the Hamilton Naturalists’ Club website. Winter Birding in Haldimand County, Sunday January 20 @ 2:00pm; meet in Port Dover at the base of the dock on the west side of the harbour; for more information contact Len at 519-428-6796. Weather Forecasting Today: Global Scale Science with Rick Berry, Tuesday February 12 @ 7:30pm at Queensville Holland Landing United Church (20453 Leslie Street) in Queensville; for more information visit www.ysnatureclub.com. Advances in DNA Sequencing: How We Will Assess Water Quality in the Future with Dr. Tom Edge (McMaster University Dept. of Biology), Wednesday February 6 @ 7:30pm at the Orillia Museum of Art and History (Peter Street South) in Orillia. Snowshoe Hike to Look for Screech Owls, Saturday January 19 @ 7:00pm; meet in the parking lot of Sulphur Spring Conservation Area (261123 Grey Road 28) just south of Hanover; for more information contact saugeenfieldnaturalists@yahoo.ca. The next issue of the Nature Network News will be sent on February 15, 2019. The deadline for submissions is February 1, 2019. Submissions can be sent to naturenetwork@ontarionature.org. Please note that events can be listed up to two months in advance – allowing others to put it on their calendar well in advance.